This week my eldest daughter started going to her first ever after school club. 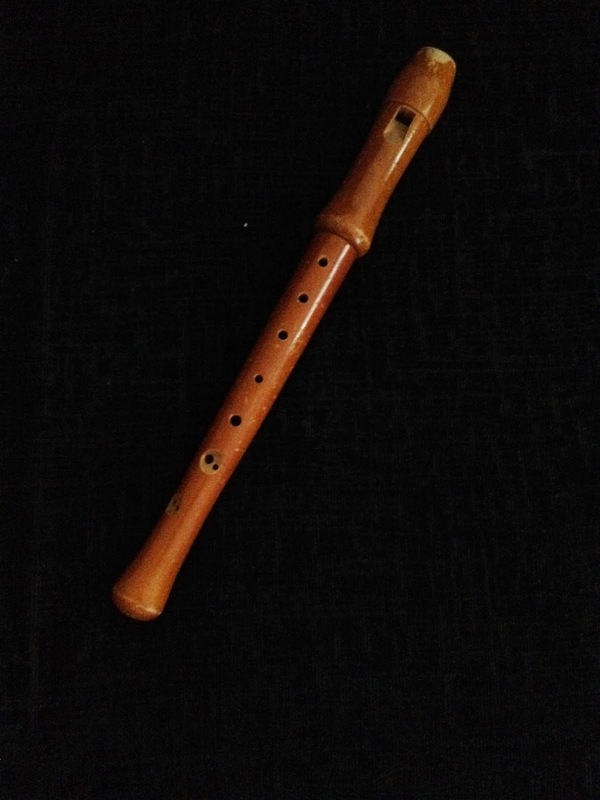 She chose to go to recorder club. This means a lot of practicing at home, won't be quiet in our house for a while!! So far she knows how to play to notes B, A and G.
I've never seen Elise so excited over anything before. She is spending all of her free time playing it at the moment. Trouble is, her sister's want to join in too and they don't quite know how to play any notes yet!!! 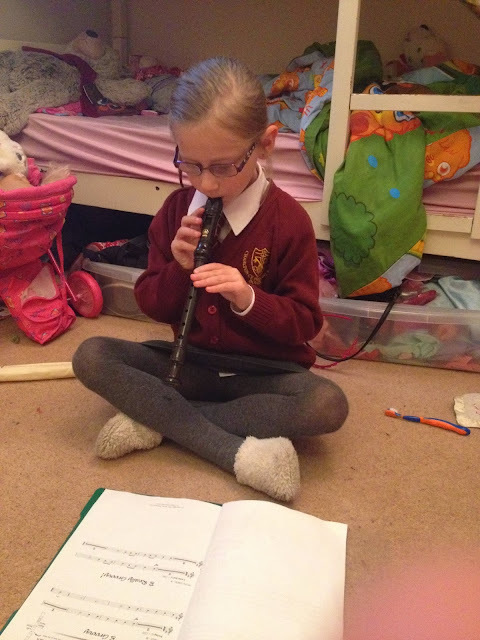 My mum actually managed to find her original recorder for Elise to play on. It is a wooden Adler one and is over 40 years old!!! Do any of your children play an instrument?? If they don't yet, is there something they would like to learn to play? My eldest is 5 and loves music. I can see him taking up a musical instrument. He wants to be the next Dave Grohl! Bless her. I used to play the recorder and keyboard. Oh, how lovely to see her there, really concentrating, too. I rememberer playing the recorder, and I then played the violin. I don't mind what my kids choose, if they do choose to play, though I have to say that looking back, I imagine that listening to a child learning the violin would be very painful..! How lovely (if not somewhat frustrating for you at home ;) ) I remember learning recorder at school it was great. Good luck to her! What a great after school club and a great skill to add to her list. I just hope the noise doesn't get too much. Can't wait to see how she gets on with it.